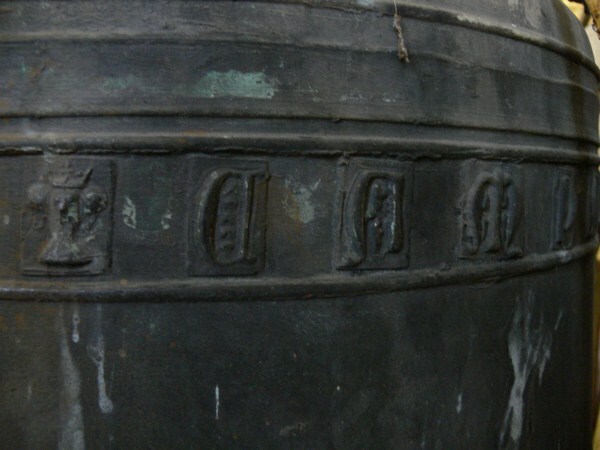 14th April 20018. 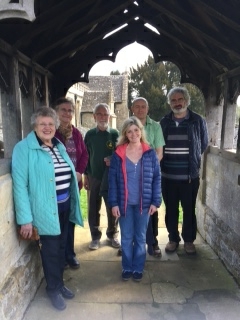 The team came 10th, probably because they rang too many change! 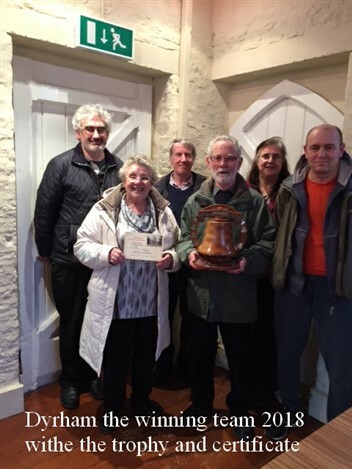 The winners of the 2018 Striking Competition at Queen Charlton Somerset were a team of regular service ringers from Rural and Wotton branches. 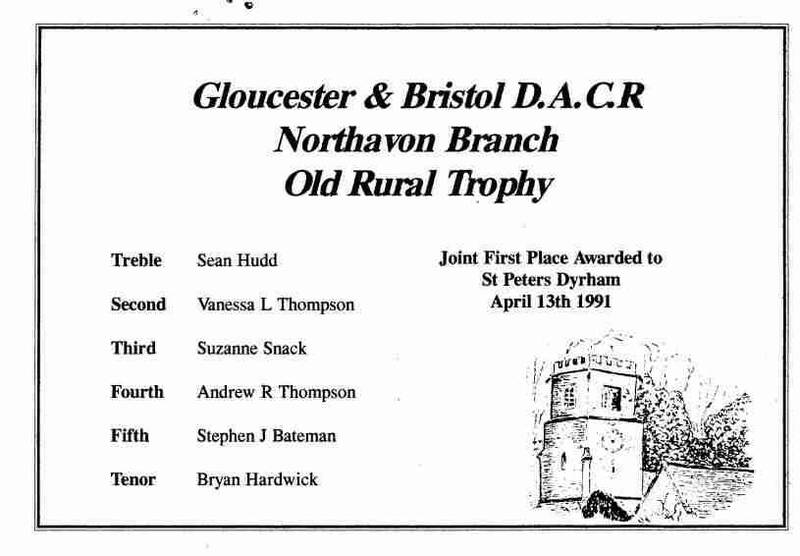 They will represent the branch in the Croome Trophy at the G and B AGM in April 2018. 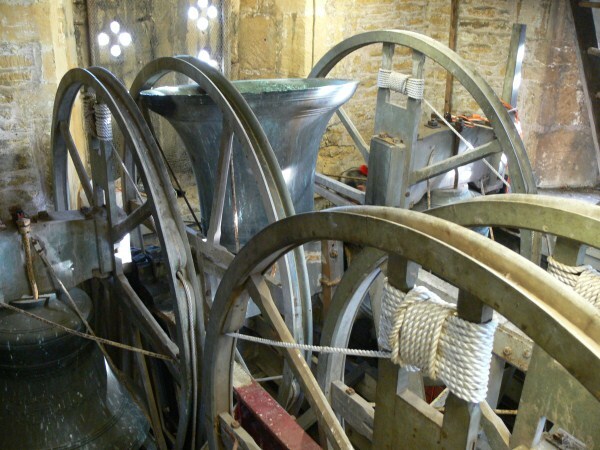 I have been in contact with Dr. Ralph Midwinter concerning the 5th bell of the ring of 6 bells at St. Peter’s Church, Dyrham, Gloucestershire. 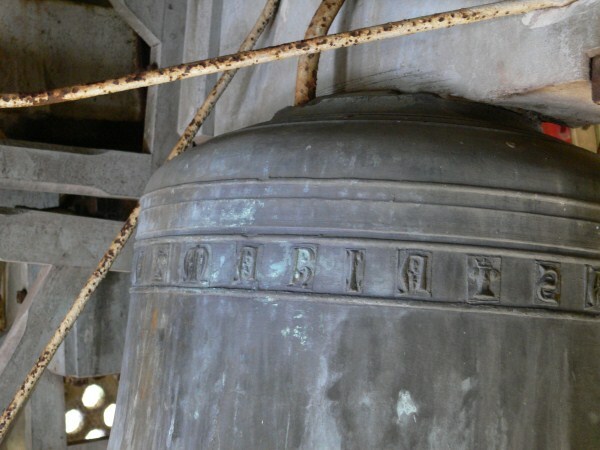 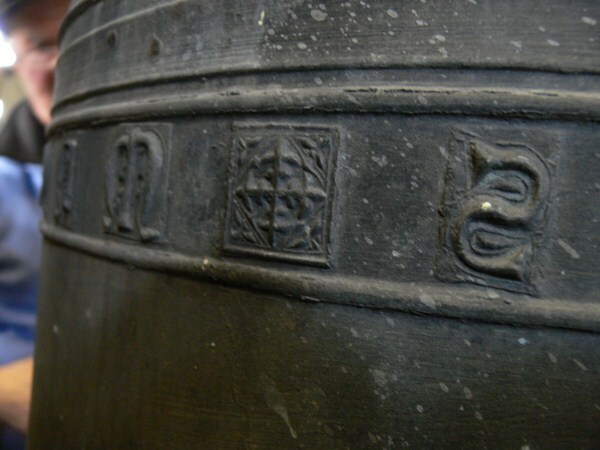 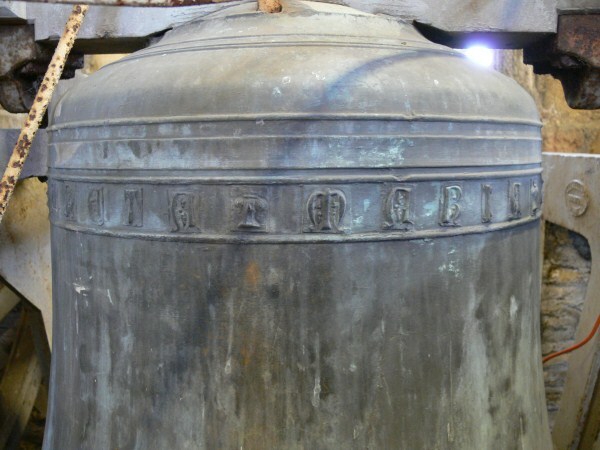 This bell is an exceedingly rare example (one of only 16 survivors known) of a 14th. 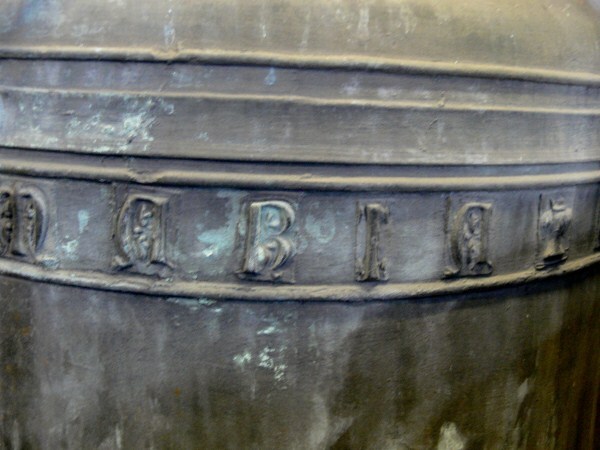 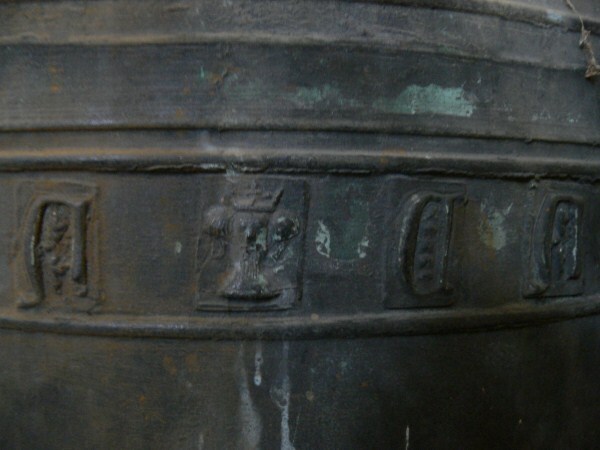 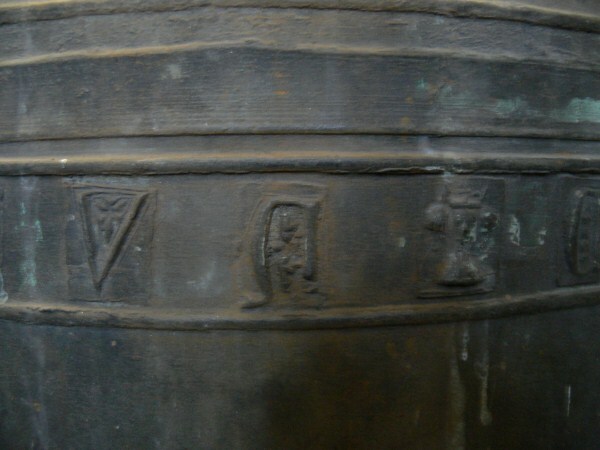 Century ‘Royal Heads’ bell, possessing images of a crowned Plantagenet King’s Head and of his Queen as ‘word-stops’ between the Latin words of the bell’s inscription. 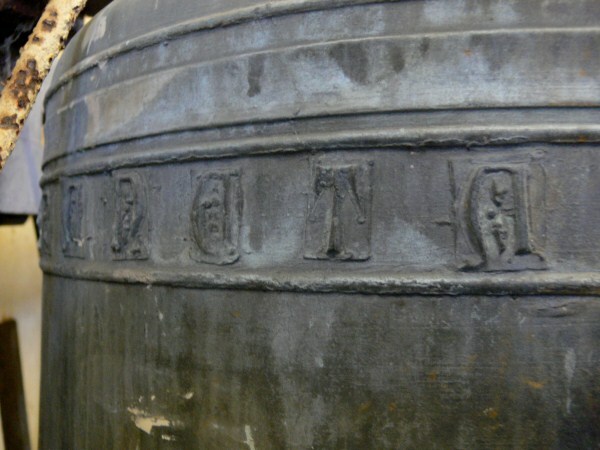 The bell is 36 inches in diameter and was reputedly cast by John Rufford and is one of the bells I am hoping to acquire close-up digital photos of the various elements of the bell’s inscription for a research project on ‘Royal Heads’ (RH) bells that I have been working on for the past 6 years. 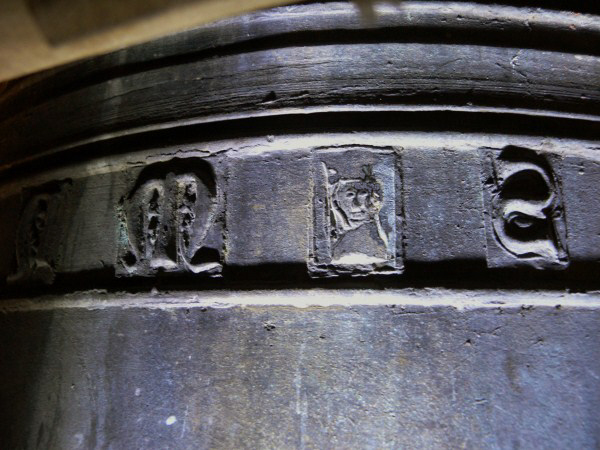 [+] SERVA [RH(King)] CAMPANAM [RH(Queen)] SANCTA [RH(King)] MARIA [RH(King)] For my researches I need photos of the Initial Cross [+], each word, and each Royal Head so that the correct King Queen order of the RHs across the inscriptionis recorded for posterity and for comparison with photos already obtained from some of the other 15 bells. 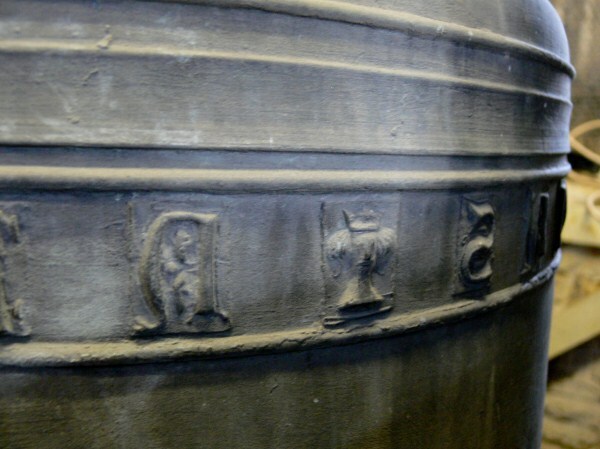 Unfortunately, old age & ill-health now prevent me from visiting the 16 locations to take my own photos, so I asked Ralph Midwinter if he knew anyone who might be interested in taking the photos for me. 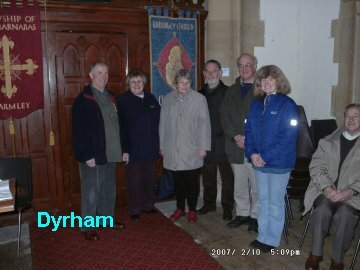 He has mentioned you as a bell-ringer visiting Dyrham and Secretary of the Bristol Rural Branch of the Gloucester & Bristol Diocesan Association of Bell Ringers as the most suitable person to take the photos for me. 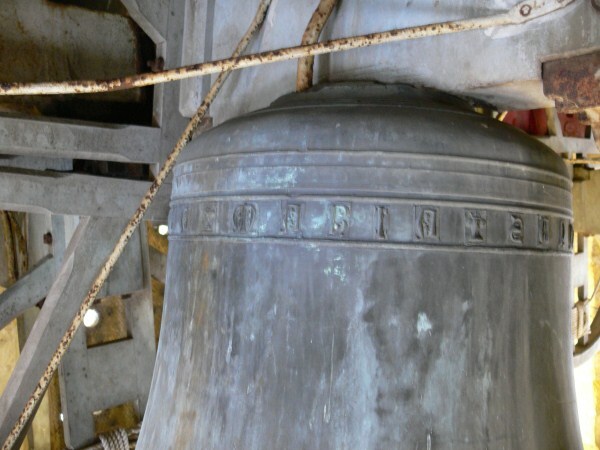 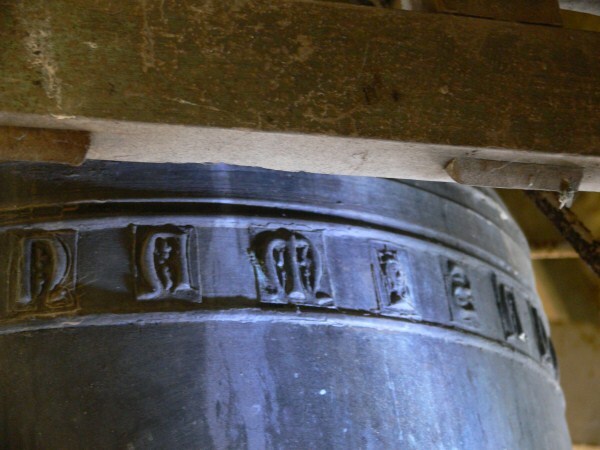 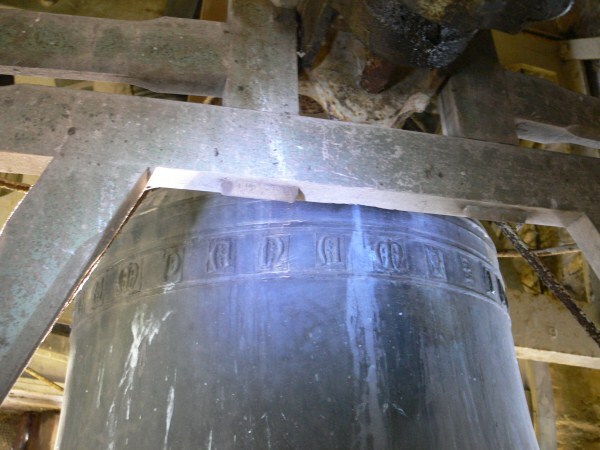 Experience has taught me that the best detailed photos obtained of the inscriptions on other bells were done by two people, one taking the close-up photos, while the other person illuminated the subject by torch or lamp at an angle of 45 degrees. 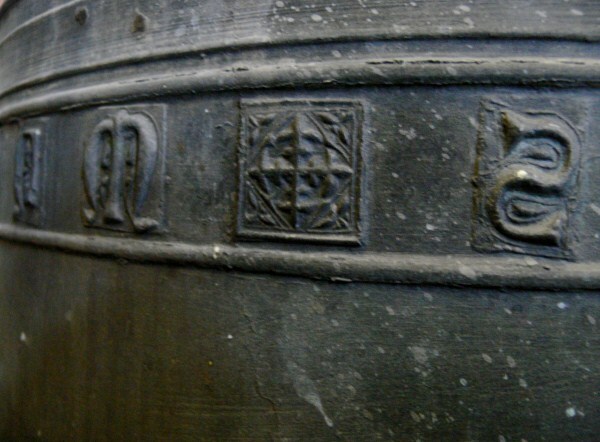 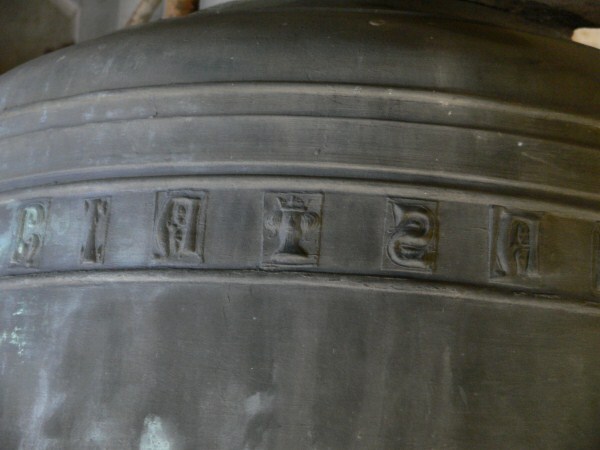 I would be most grateful if either you and a friend, or another pair of your acquaintances, would be willing to photograph the inscription on the fifth bell, or as much of it as is accessible. 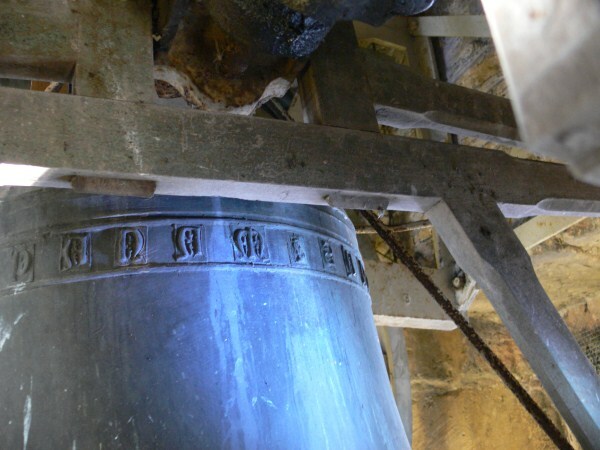 Found in Dyrham Tower if you know who was joint first let me know please.